Laurens District High School will host its annual Black History Program on Wednesday, Feb. 27. 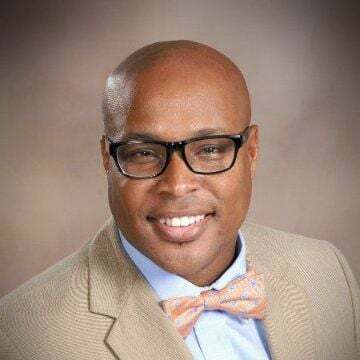 This year, author and cyber security expert Dr. Derrick Barksdale will serve as guest speaker at the school-wide event. Dr. Barksdale grew up in Ora and attended the public schools of Laurens District 55. He was raised by his mother, Sarah Barksdale, and is married to Wakita Barksdale. They are the parents of three children: D.J., Patience and Braelyn. Barksdale has worked hard toward his academic achievement. He authored a book titled The Sorghum Press that chronicles events in his life that help shape his leadership. His academic achievements include: Bachelor of Arts Degree in design, an Engineering Graphics Diploma, a Master’s in business administration, and a Masters in Christian leadership and divinity. Dr. Barksdale has worked in the financial services industry since entering graduate school in 2000 for three of the largest financial firms in the country, spending over 18 years working in cyber security. He is a Certified Information Security Manager and a Certified Identity and Access Manager, making him an expert in the cyber security field. He has been awarded the Spirit Medallion of Leadership, a prestigious award given to the top technologist in the financial services industry. Seating for the event will be available to the community on a first come, first serve basis. Please contact the LDHS main office at (864) 682-3151 to reserve a seat. Please note that you must reserve a seat in advance if you’d like to attend; reserved seating will not be available the day of the event. The program will begin at 10:30 and will be located in the LDHS main gym.